Everyone loves Pinterest. Seriously, how many thousands of projects/recipes/ideas do you have pinned on your boards? How many have you actually tried? 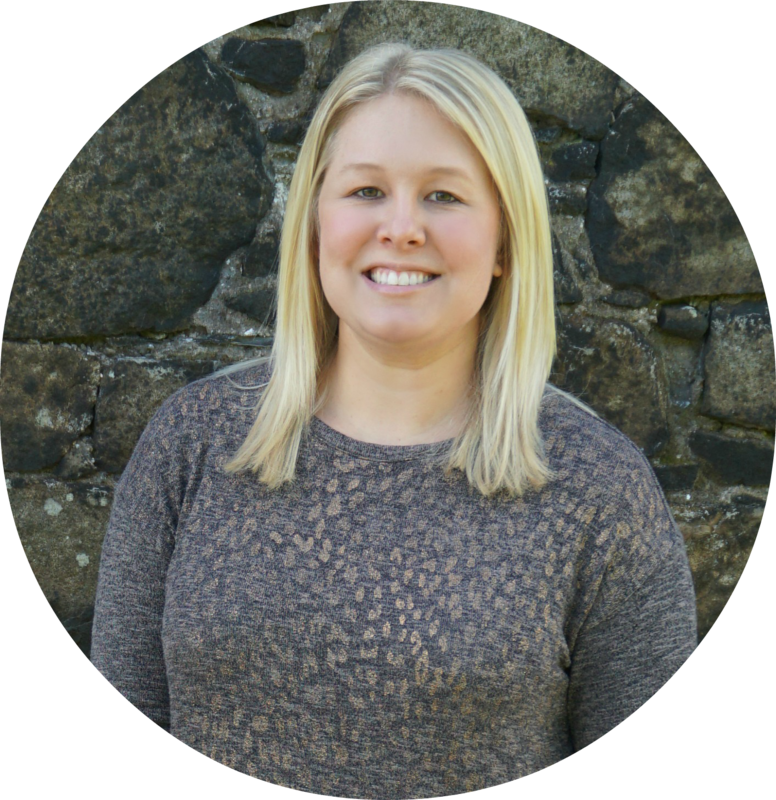 Well, a few months ago my friend Michelle and I decided to start actually making the projects we’ve been pinning. On Saturday we had our third successful Pinterest Night, so I thought it would be fun to share what we’ve been making. For our first Pinterest Night we made burlap bubble wreaths. I already had a couple foam wreath forms, so we used this tutorial from Coupon Closet. It’s a different method than most of the other tutorials, but it didn’t make sense to buy wire wreaths when I already had foam ones on hand. 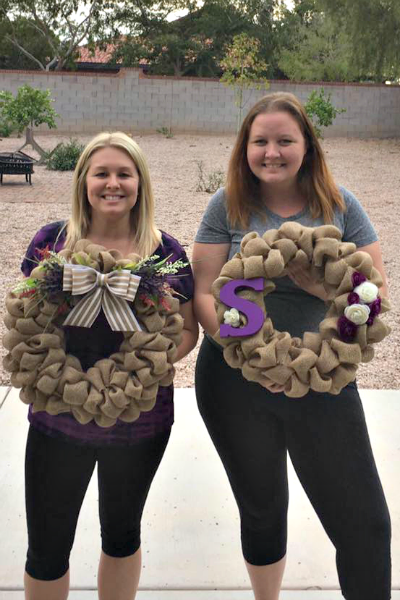 The directions were easy to follow and our wreaths turned out pretty amazing. My only tip would be to wrap the wreath form with burlap first so the foam doesn’t show through. You might also want to buy extra burlap ribbon. I made mine really full, so we had to make a Hobby Lobby run halfway through the project to buy more. 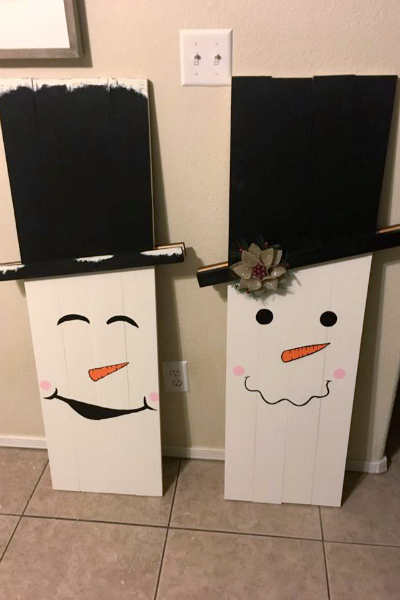 For our second Pinterest Night we made reversible scarecrow/snowman boards. Most of the examples we found on Pinterest were from Etsy, so we just used the finished pictures to make up our own designs. 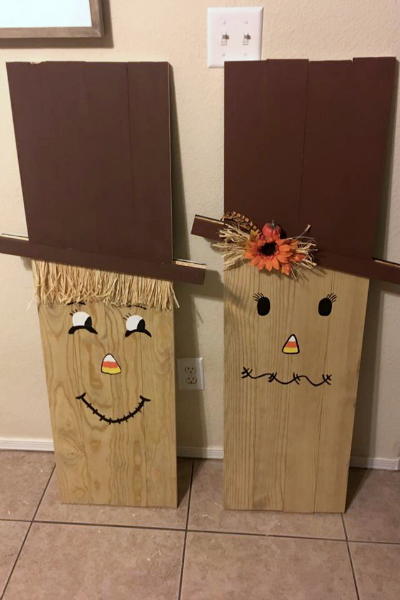 We cut 1x4 boards in half for the project, so our finished scarecrows/snowmen are about 4 feet tall! Mine is on the right, Michelle's is on the left. 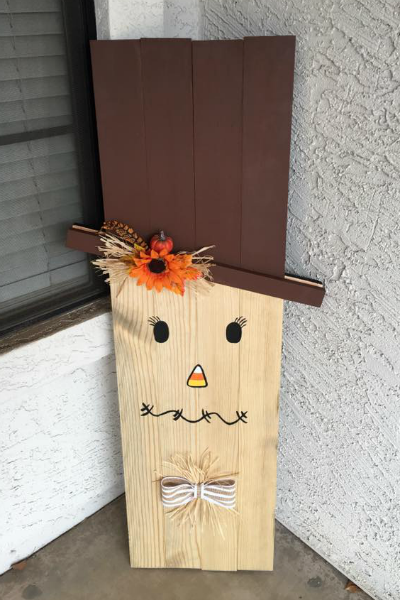 The following day I added a bowtie and more straw (my boyfriend called it chest hair) to my scarecrow. There was just too much blank space for my liking. When I switch it to the snowman side, I might wrap a scarf around him. 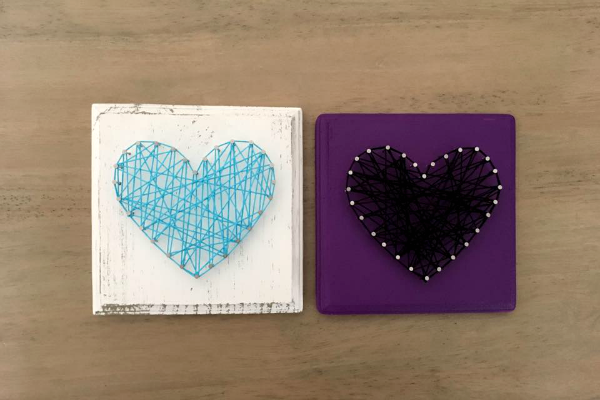 Over the weekend we had our third Pinterest Night and we made string art. We decided to start with an easy one to test out the process, so we made hearts using this template from Paige and Chris. Mine is the blue and white one. We love how they turned out, but we didn't really enjoy this project...actually we kind of hated it. About 3 nails into the heart we were already over it, so we decided to skip the second design and just stick with the hearts. One of my goals this year was to spend more time crafting and working on small projects, so I’m really happy we started doing these nights. It’s also fun to see each other’s creations. We both start with the same basic supplies, but bring our own flair to decorate them however we want. It’s fun to see what we each come up with! Have you made anything you’ve been pinned lately? Any project suggestions for our next Pinterest Night? This looks like so much fun! I love the bow on your wreath and the colors of the flowers! You could sell that it looks so pretty! Thanks Darby! I'm so happy with how my wreath turned out. It's my favorite Pinterest project so far! Love all three of these! I'd love to make all of them. They turned out super cute. 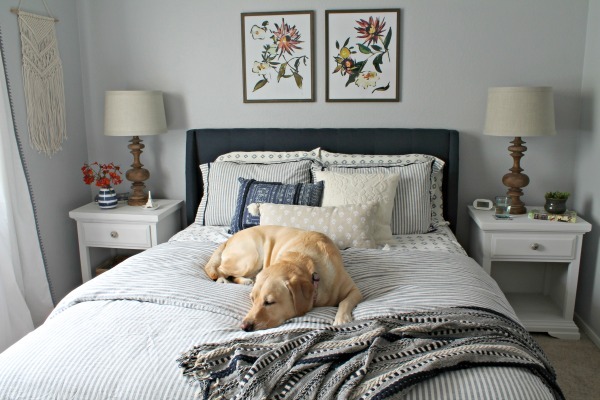 These Pinterest nights are a great idea! 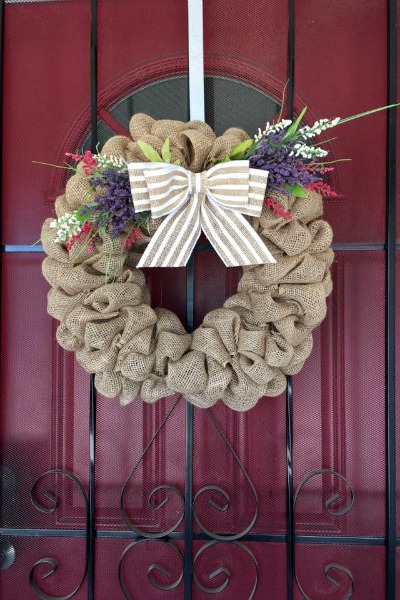 I love the burlap wreaths!